Ghana: Groundnut rosette disease in the Northern Region. 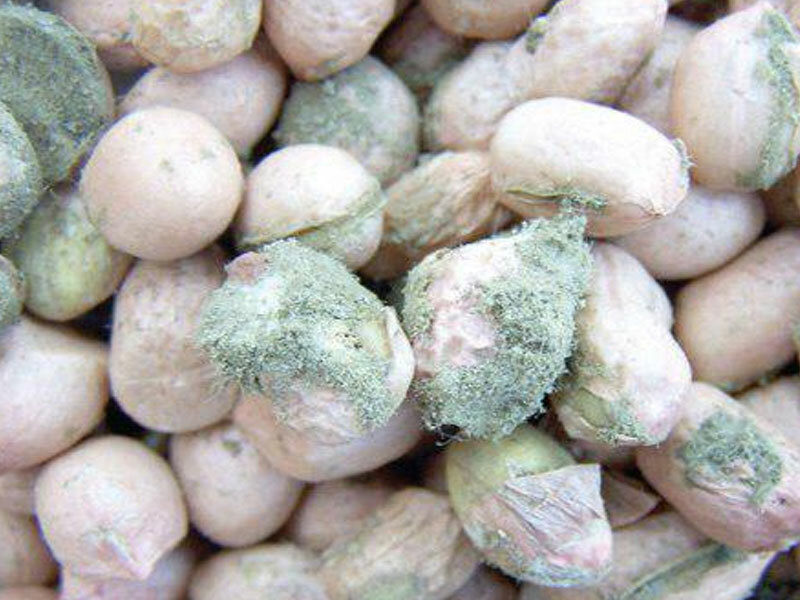 There is an outbreak of the groundnut rosette disease in the Gushiegu Municipality in the Northern Region. The disease is caused by a virus that leads to stunting and distortion of the shoots of the plant. The Gushiegu Municipal Directorate of Agriculture found the disease in 10 communities. And so far, the disease has affected 25 acres of groundnut farms in the area. Some farmers in the municipality told the Daily Graphic that the disease was fast spreading but they did not have any chemical to control it. “I have a two-acre farm that has been affected. For now, what I do is to clear the entire farm so the disease will not spread since I do not know what to use on them. Unlike the fall army worms, we do not have chemicals to use on this one,” Mr Yaku Nangtoma, a farmer in the community said. According to him, there were many other farmers who were also struggling to deal with the disease. Coming on the back of the fall army worm’s invasion which wiped out thousands of acres of maize across the country, Mr Abdul Zakari, a mixed cropper said there was apprehension among farmers because groundnut was one of the few farm produce that could be stored for long. “We make quite some good income from groundnut, especially when we remove the shells. We have only one season here so when we lose crops like this, it disturbs us a lot,” he said. A Municipal Crop Officer in the district, Mr Kojo Inusah, confirmed the outbreak but said the directorate was creating awareness among the farmers to prevent the disease from spreading. “We advised that once the field is infested, they should clear the entire area to avoid the spread of the disease because as of now, there is nothing to use in controlling it,” he said. According to him, the directorate introduced some groundnut varieties such as Samuel 22, Nkatie SARI and Yeyenwasu that were resistant to diseases but it could not continue with the supply of seeds to farmers. “We were promised we would receive foundation seeds but it has not come yet. What we are relying on is from last year’s harvest. We are trying to spread these varieties to reduce the disease outbreak,” he stated. Mr Inusah further cautioned that if not tackled immediately, the disease could cause extensive damage just like the fall army worm. He said the municipality’s seven crop officers were yet to visit all communities in the area to advise farmers. According to experts, the disease is epidemic in nature and has a seasonal cycle of infection. The origin of the virus is yet to be ascertained. To speed up the flow of seeds of acceptable improved cultivars to farmers, there is a need for a co-ordinated approach among research institutes, public and private seed multiplication agencies, agencies involved in quality control and non governmental agencies interested in various aspects of seed production.This will help ensure rapid movement of new cultivars to farmers.